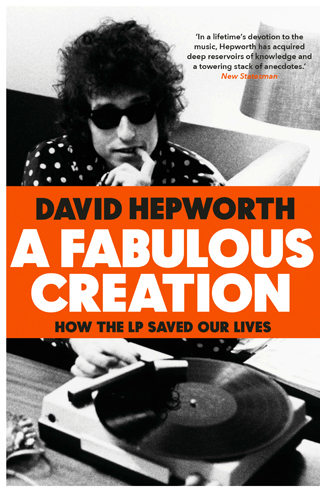 But this isn’t a book overly concerned with what is or was cool and influential, although it certainly has some interesting things to say about the transformative impact of mega-sellers like Pink Floyd’s Dark Side of the Moon, Roxy Music’s debut album and Donna Summer’s Love to Love You Baby. This is a celebration not so much of the music found in the grooves, but the grooves themselves, because for Hepworth the 12” vinyl LP is one of the most important cultural artefacts of the 20th Century. For a couple of decades, especially amongst the young, vinyl records were the physical embodiment of a certain louche way of life. For ‘Heads’, they acted as a major status symbol: not only were they expensive, but in the world before Amazon.com certain titles were harder to come by than others, affording their owners a certain prestige. Young trendies of the era knew that a copy of Nick Drake’s Bryter Layter or The Songs of Leonard Cohen carried under the arm on the bus was as potent an indicator of a desirable lifestyle as an artfully composed Instagram photograph is today. A Fantastic Creation is divided by year, 1967 – 1982, with the subsequent three decades brushed off in a couple of chapters. Hepworth insists these were the peak years. The fact that these peak years also correspond to the author’s young adulthood is neither here nor there, nor the fact that the format had already been around for well over a decade by ’67, and that even in 2019 they can still be bought in any provincial supermarket. As far as he’s concerned The Beatles’ Sergeant Pepper’s Lonely Hearts Club Band was the first album to truly exploit the format’s potential and Michael Jackson’s Thriller the last. By this point, vinyl was being outsold by tapes and CDs. Meanwhile, personal stereos were in the process of turning the listening of music into a private rather than a communal experience. This isn’t in any serious way an exploration of mid-Twentieth Century pop culture; it’s a nostalgic trip for the author through his own vanished youth. LPs are for Hepworth, a veteran music journalist and former presenter of The Old Grey Whistle Test, as madeleines were for Proust, and the highlights of A Fabulous Creation are his reminiscences of trawling through underground record shops or joining housemates crowding round the turntable in otherwise sparsely furnished flats to listen to the latest releases by Neil Young or Patti Smith. This might sound impossibly primitive to readers used to having access to fathomless entertainment options at the touch of a button, but this is exactly Hepworth’s point – pop music has lost its near monopoly on youth culture. Yet somehow the LP itself survives. Innovations like tapes, 8-track cartridges and Mini-Discs have been and gone; even CDs never seemed to capture the imagination in the same way. There’s something magical about vinyl records, something that continues to appeal to music fans of all ages. If anyone buys music at all, they buy it on 12 inches of plastic. The obscure record held under an arm is still has potency as an indicator of a true hipsterdom. Hepworth is quoting Roxy Music in his title of this love-letter to the format, and he’s quite right too; it truly is a fantastic creation.